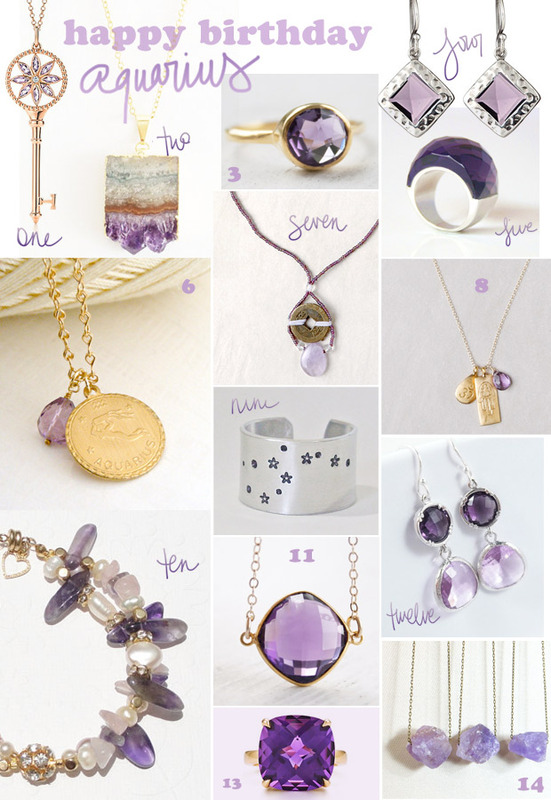 Ooh, aquarius, how lovely do you look in purple facets? Through a little research i’ve learned you’re an independent, original & unconventional thinker, who’s loyal, and charitable. Next to all that, you’re witty and clever with a bit of a rebellious side. Go have fun in a new piece that resembles your aquarian nature… happy birthday!